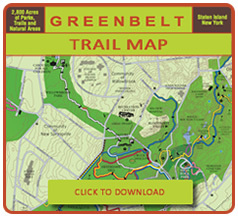 Wednesday April 17: Enjoy the sights and sounds of spring as we explore the Greenbelt trails and natural areas. 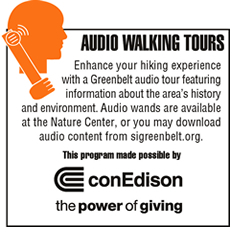 This week we will explore "Heyerdahl Hill," behind the Greenbelt Nature Center, and learn its history. Designed for adults ages 18+ who want to spend time in nature, get exercise, and more! Please dress for the weather and terrain. Registration required. 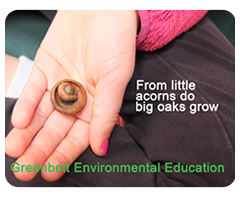 Call 718-351-3450 or email naturecenter@sigreenbelt.org.